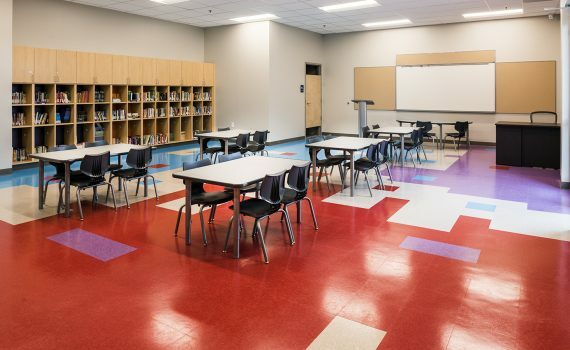 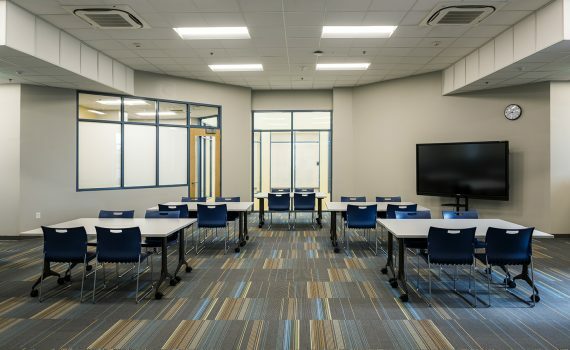 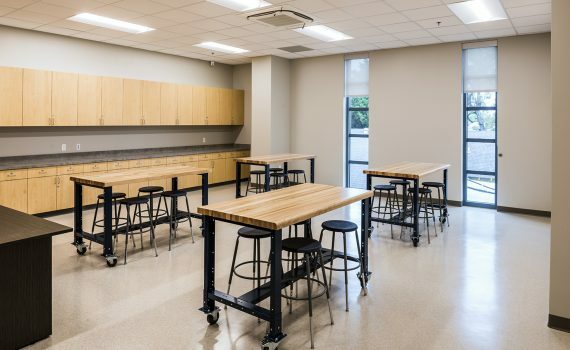 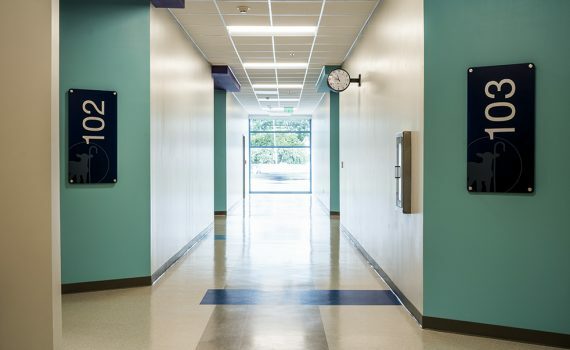 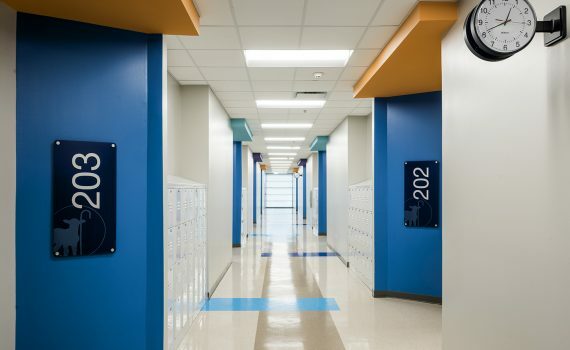 The new, 350-student campus includes a 200-person cafeteria, library resource center, art room, and a maker space to go with the individual classrooms. 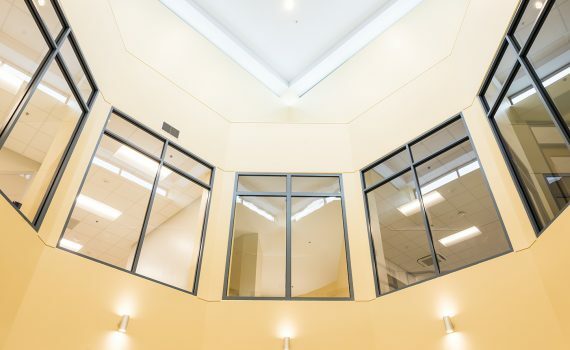 Upon entering the school, students are greeted with an octagonal atrium honoring the late Jesuit Father Harry Tompson among other founders and donors. 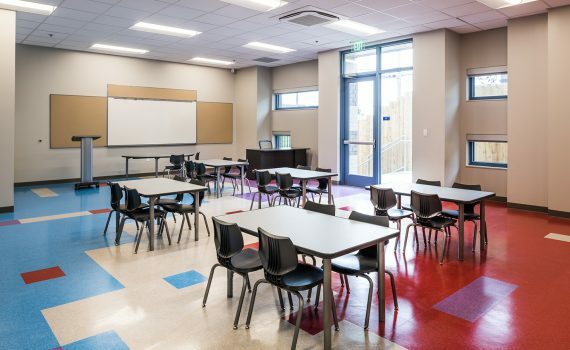 The new campus adds space for the addition of a Pre-K(4) level along with more sections for the other grade levels. 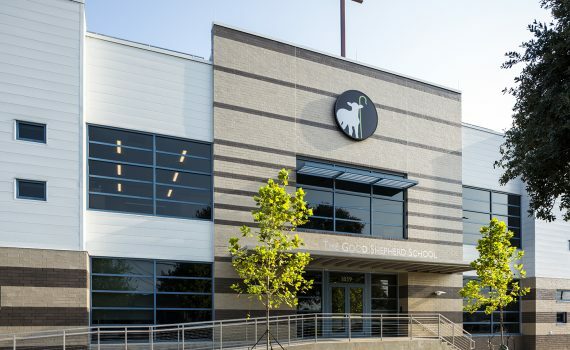 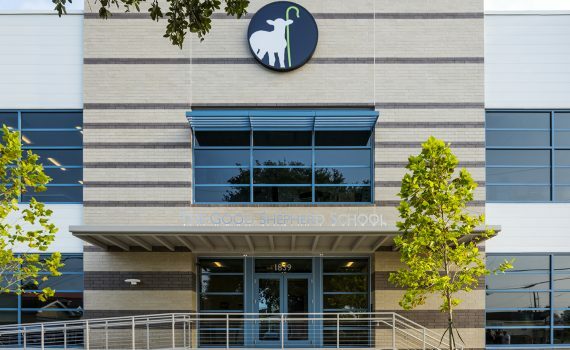 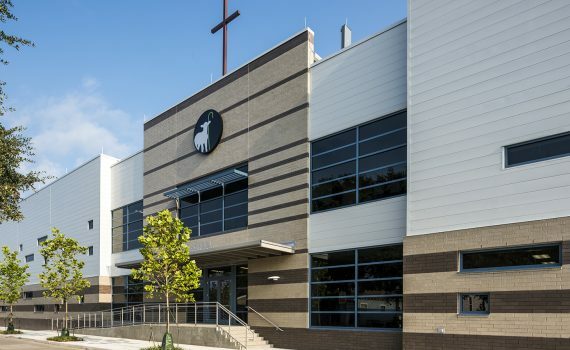 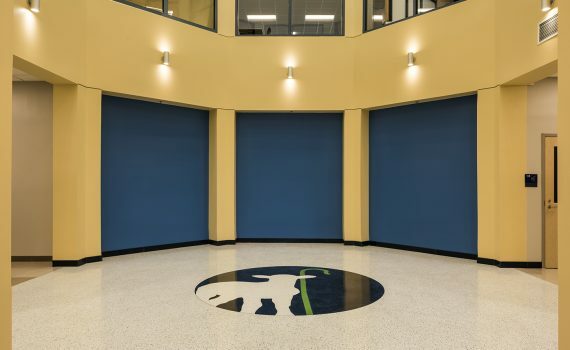 The new campus also serves as a community bridge – helping the Good Shepherd School incorporate local organizations and businesses into its curriculum: neighborhood groups in the A.P. 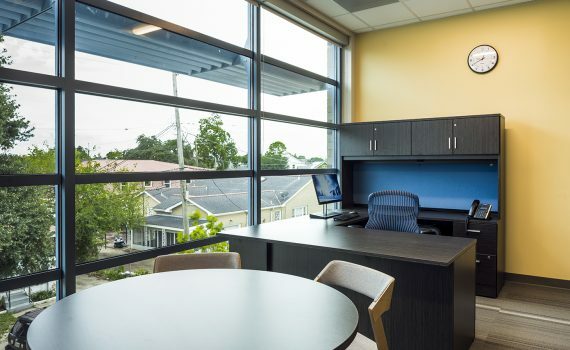 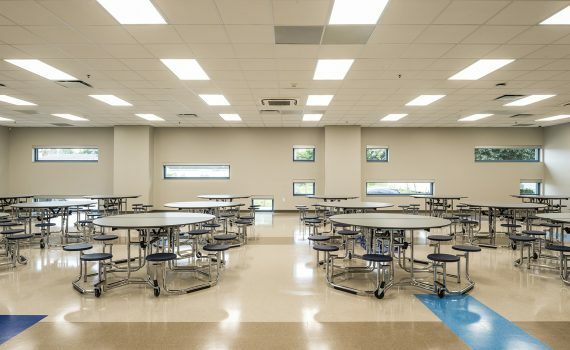 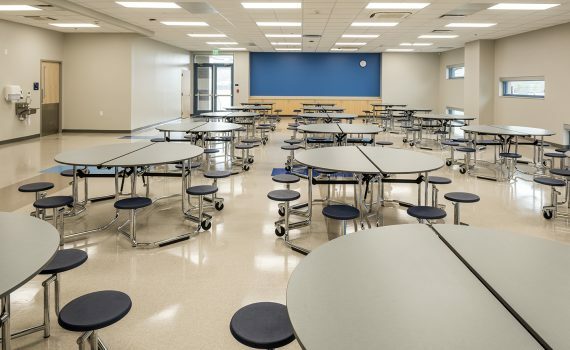 Tureaud area were offered use of the space for meetings and events, area craftsmen are encouraged to showcase skills and collaborate with students on projects, and resources at local institutions like St. Augustine High School and Dillard University are being utilized for tutoring and after-school activities.